"It's the Earth going around a pizza planet." That was my son's reply when I asked him to describe the exhibit above. Lord, help him, I hope it's not really what he thought. If so, I'm going to need someone to take over my role as homeschool teacher next year, because I'm just not cutting it. 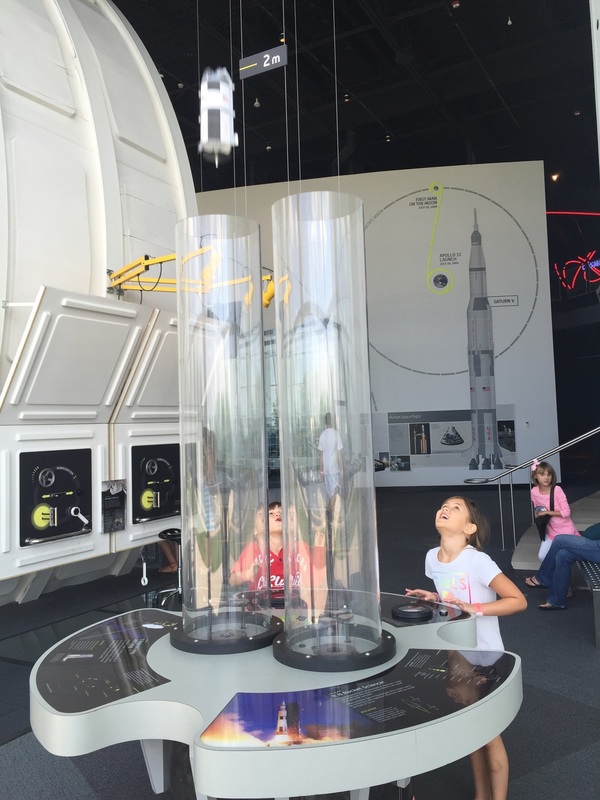 Thankfully, there are places like children's science museums to help me teach concepts in tangible, hands-on ways. And we've been to our fair share of kids' museums around the country. So, when the kids completed their summer reading program through our local library and won tickets to the Nashville's Adventure Science Center, I was a little skeptical of the white building I had driven by so many times before. It didn't seem that fancy. Or fun. Would it live up to the other museums we've gone to over the past year? Here's a peek inside Nashville's Adventure Science Center. There was a separate cafeteria, serving Subway. (Yes, food wins me over ... every time. Don't judge.) It was a welcomed getaway from the excitement of the exhibits and the enormous windows overlooking downtown Nashville helped rejuvenate museum goers while they refueled. They let teachers in for FREE with a valid teaching ID. Which means, homeschooling mama and daddy, you don't have to pay admission to the museum. The exhibits were well spaced and well lit. Why is this important to us? When you have multiple kids, they don't normally stay together. Laws of nature say they will run in opposite directions, which is tough if it's just one parent to many kids. The exhibit areas were positioned so that parents could stand in one spot and monitor the entrance and exit pretty well. You may not be able to see them, but at least you know those little slippery kids didn't leave the area. There were family restrooms! Always a bonus!! They had an area with manipulatives for little ones/new walkers. The exhibits were informative for kids of all ages. It wasn't overly simplistic, in other words, uninspiring, and it wasn't absurdly abstract for young learners. The museum found a great way to balance activities, in my opinion, for kids ages 2-12. We had a love/hate relationship with the Adventure park in the middle of the museum. We have to admit, it was three stories of kid heaven! My kiddies could have played there for 400 hours. The activities were creative and fun and educational. There just seemed to be a lot of ways to crawl in and out of each level of the park. At a certain point, I was on one level and my kids were two stories above me. So, parents with multiples, just be sure you talk to your kids about where to find you if they need you. So, was Nashville's Adventure Science Center impressive or a bust?? 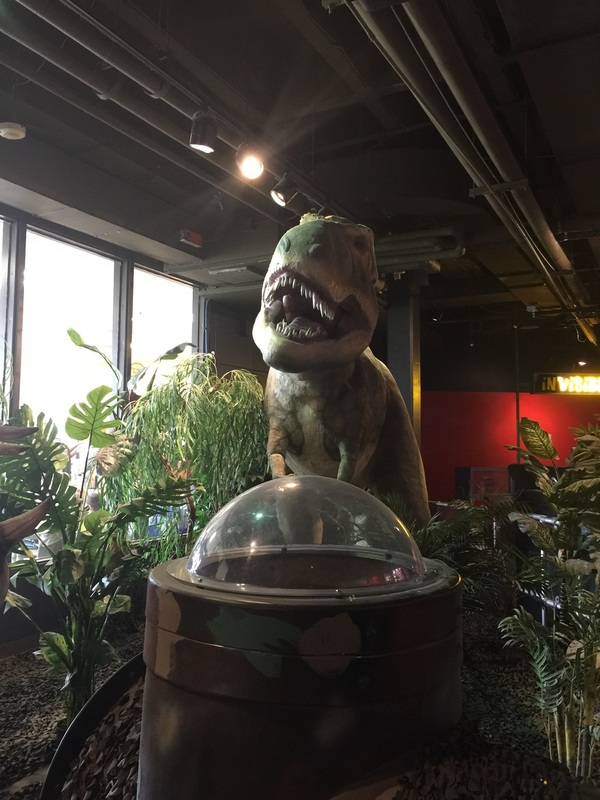 ThoseCrazyNelsons say Nashville's Adventure Science Center was IMPRESSIVE! Add it to your travel itinerary, if you get a chance! For more info on Adventure Science Center, check out these TripAdvisor reviews!